Financial advisors greeted 2016 in a relatively upbeat mood—what are they thinking about now? The worst post–WW II start ever for the U.S. equity markets, followed later by multiple new all-time market highs. A regulatory environment that has seen significant developments and one that promises to hold further change. An unprecedented U.S. presidential election cycle, with undoubtedly many more unexpected twists and turns. Within this environment, financial advisors have shared their viewpoints directly with Proactive Advisor Magazine and have also responded to numerous surveys conducted by leading financial institutions and the financial media. What exactly is on advisors’ minds? Here is a look at five top concerns faced by financial advisors in 2016. Coming into 2016, many analysts, financial institutions, and financial advisors expected heightened volatility—and their prediction was right on target. While the CBOE Volatility Index (VIX) traded at its lowest levels in over a year toward the end of July (falling below 12), spikes have been common this year, and the VIX has seen almost three months’ worth of cumulative time spent over the important 20 mark. See Related Article: Can managing market volatility really be simple? What is top of mind with you among these four choices? 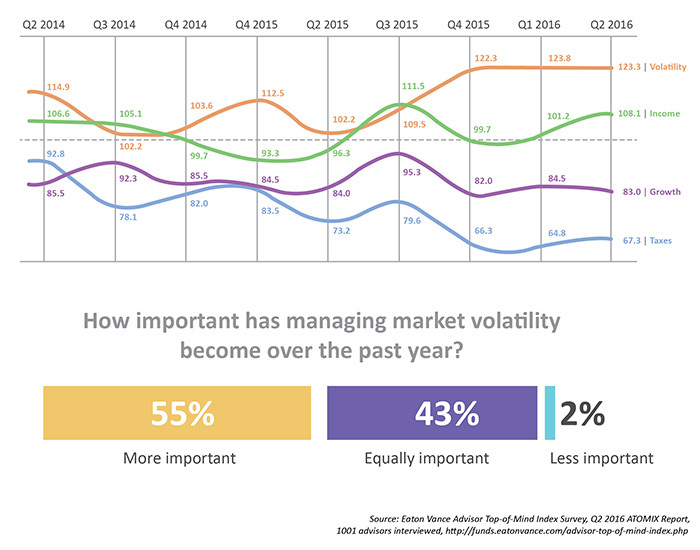 Closely related to the overall concern about volatility is the #2 concern of financial advisors: the design, allocations, and management of their clients’ portfolios. Studies identify advisors’ ongoing examination of their clients’ portfolio design and management as a major focal point (see Figure 2). Anecdotally, advisors interviewed by Proactive Advisor Magazine say the market environment of both 2015 and 2016 has created a heightened concern over the proper balance of risk and return for clients. Many of these advisors are increasingly using managed accounts with higher weightings to active, risk-managed strategies. Many advisors are also leaning toward tactically unconstrained strategies. Two of the most cited important advisor concerns under the broad topic of “portfolio management” are (1) risk management and (2) achieving client portfolio growth at levels sufficient to help clients fund future retirement income needs. Regarding risk management, one California-based financial advisor recently told us, “I know this bull market will be coming to an end. I just don’t know when. It may be weeks, it may be months, or it may be years, but it will end—not pleasantly, and when we least expect it. I need to make sure clients are well-positioned in risk-managed portfolios to prepare for that eventuality.” This advisor also says she is “not committing any new money to passive strategies” and favors “tactically managed bond strategies” for now. Many advisors are also seeking solutions to what Mohamed A. El-Erian (then of Pimco) is credited with dubbing “The New Normal.” Former U.S. Treasury Secretary and Obama administration economist Larry Summers (now president emeritus and professor at Harvard University) alternatively calls the overall financial environment “The Age of Secular Stagnation.” Some simply call it “a 2% world.” Others just see it as an economy and investment scenario characterized by low growth, low interest rates, and relatively low returns going forward, compared to most of the post–WW II market and economic history. While U.S. financial data and indicators generally improved in July, major questions still exist for many financial advisors regarding valuations for equities, the outlook for interest rates and inflation, and where the economy and markets stand from a cyclical perspective. See Related Article: Are U.S. economic indicators finally improving? Though a certain “fatigue” has settled in for the media, financial institutions, and financial advisors on the question of when the Fed will finally start to somewhat normalize interest rates, it is still a critical question for advisors developing client-specific financial and investment plans. 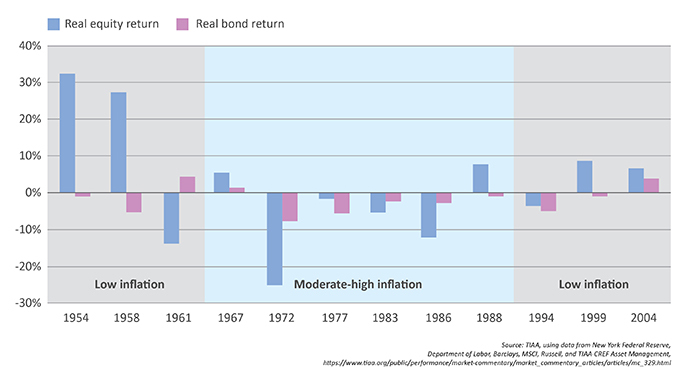 A new interest-rate environment creates both opportunity and risk, as Figure 4 indicates. And, the normal course of action for the Fed is a series of small, incremental rate hikes or decreases on a fairly regular basis over an extended period. So for this cycle, the current “one and done” or conceivably a “start, stop, start, stop” rate-hike picture—especially given the historically low starting point—may make attempts at historical comparisons meaningless. For advisors, the two issues of a changing regulatory environment and this fall’s elections are closely intertwined. No topic in the advisor-directed media has garnered more space than this year’s adoption of new Department of Labor regulations related to fiduciary obligations. And, without doubt, this year’s presidential campaigns and the November elections have overshadowed all other topics in the general media. 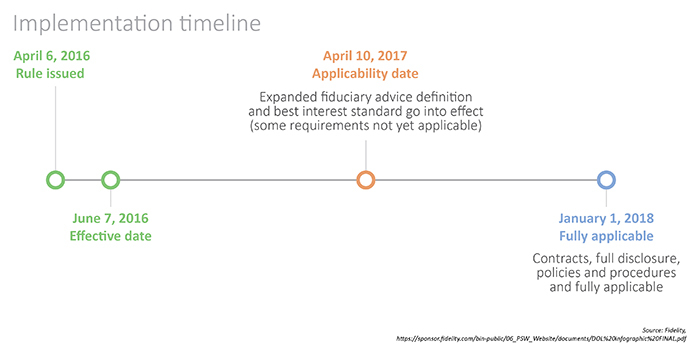 Regarding the Department of Labor regulations, our interviews with advisors dramatically changed tone as the less-onerous-than-feared guidelines were announced and the implementation timetable became clear (Figure 5). 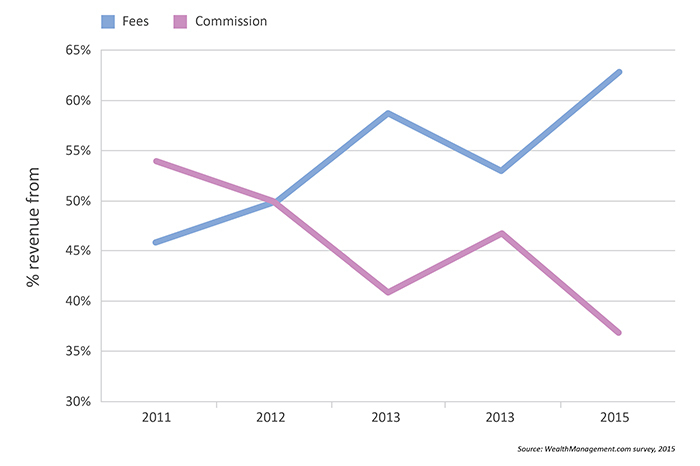 Most advisors we have interviewed have also been increasingly adopting a fee-based model for their practices since the credit crisis. They see little real impact of the regulations on their standards of conduct or the philosophical nature of their relationships with clients, though they acknowledge there may be additional administrative and compliance burdens imposed on their practices and their broker-dealer relationship. As for presidential politics and the congressional races this November, financial advisors see a great deal of uncertainty surrounding potential policy and regulatory changes. The philosophies of the two parties, and especially the two presidential candidates, could hardly be more far apart on many regulatory, tax, energy, spending, health-care, trade, workforce, and immigration issues. For example, Ms. Clinton and Mr. Trump have opposing viewpoints on Dodd-Frank regulations and, in general, on the oversight of the financial industry. This election will not only have a profound impact on the operating environment for the financial industry, but also the growth outlook for many specific investment sectors. Advisors always consider the growth of their practices, client retention and satisfaction, acquisition of new clients, and their future prospects for increased revenue and profitability to be of great importance. (Proactive Advisor Magazine wholeheartedly agrees and devotes a weekly section to practice marketing “Tips and Tools,” sharing insights from advisors we interview). 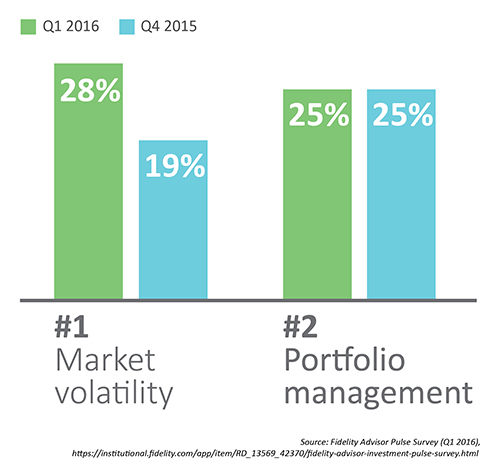 Even though 2015 was a difficult year for many equity markets, most advisors approached 2016 optimistically, according to Investment News (see Figure 6). With estimates of roughly 10,000 Americans reaching retirement age each day (! ), it would seem that this should be a golden age in terms of growth prospects for financial advisors. However, retirement also means that many clients are entering the distribution phase of their lives, and the vast assets brought to retirement by baby boomers, though impressive, will not be on a significant growth trajectory. How big a threat is consolidation in the financial-advice industry? And how will the trend toward multi-office practices with significant shared resources affect smaller practices and sole practitioners? 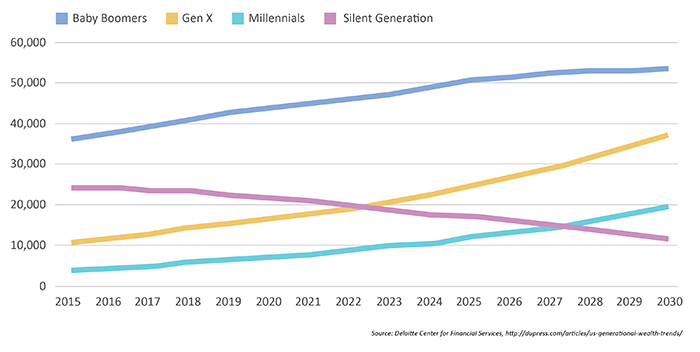 Will the generations behind boomers truly gravitate toward automated wealth-management platforms? See Related Article: Life happens. Plan for it. The worry list for advisors on potential shocks to financial markets is long, but the “unknown unknown” is even more concerning. The market’s fast-and-furious sell-off in response to the Brexit vote in the United Kingdom was just another reminder of how vulnerable financial markets remain to external shocks. Fortunately, as has generally been the case since 2009, markets have rebounded from each and every dip in the U.S. market in relatively short order. Financial advisors are not only concerned about the length of the current bull market, the state of the U.S. and global economies, interest-rate policy, and valuation levels for equities in general, but they are also worried about the next big unforeseen crisis that will not be overlooked so quickly by markets. Will it come from student-loan debt, from China, from war or terrorism, or from a European nation disrupting the already fragile eurozone? Or somewhere else altogether? Of course, no one knows. In our discussions with independent financial advisors around the country, the trend is clearly toward the growth of fee-based practices (Figure 8), the use of third-party money managers who provide strategies geared toward risk management, and a healthy mix of both passive and active strategies for clients to provide further diversification and mitigate the risk from market shocks. Many advisors feel most comfortable diversifying client portfolios along numerous dimensions: by time horizons, by asset classes, by strategies, and by using multiple asset managers. Both retail investors and financial advisors have already faced many surprises in 2016. More volatility this year should not be unexpected, and the advisors interviewed by Proactive Advisor Magazine seem well-prepared to help clients weather any storms, from minor squalls to full-force hurricanes. The two keys to this, repeated many times by different advisors we have interviewed, are (1) fully educating clients on expectations for how their portfolios should perform in a variety of market environments and (2) employing dynamic, risk-managed strategies that can provide a variety of ways to help mitigate risk. While advisor concerns are significant—both for the dangers of the external environment and the future growth of their practices—successful advisors we have interviewed demonstrate a remarkable optimism and confidence both in their own abilities and that of their partners and outside resources.